Today Honor is announcing the latest update to their product portfolio. 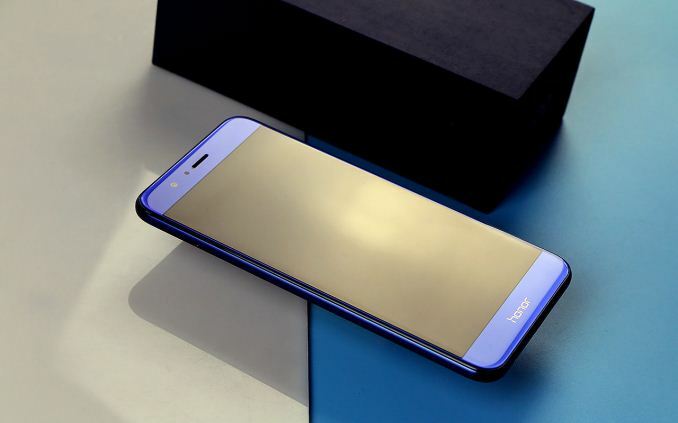 After the successful launch of the Honor 8 last August as its flagship product, using the latest Kirin chipset back then, Honor is launching a higher-end model with a larger screen, more powerful SoC and an all-around upgrade. The new device will have the newest Kirin 960 chipset, featuring 4x ARM Cortex-A73 and 4x ARM Cortex-A53 as well as the latest Mali-G71MP8 graphics, as we've seen on Huawei devices over the last six months. This will be paired with 6GB of LPDDR4 and 64GB of UFS 2.1 storage. 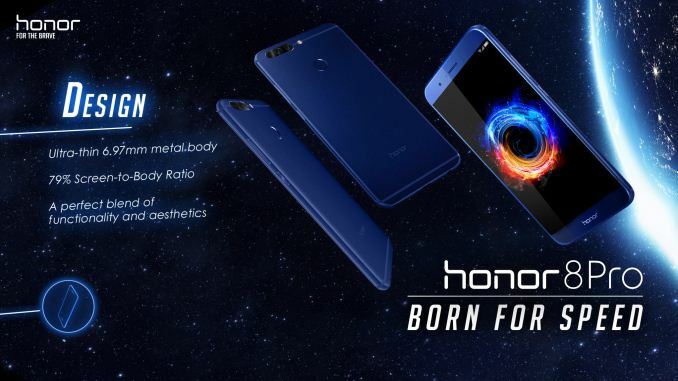 The display moves up from the 5.2-inch Full-HD on the Honor 8 to a 5.7-inch QHD (2560x1440), and a combination of all these features means that Honor is promoting the Honor 8 Pro as a gaming and VR device, although there's no word on DayDream VR support, but the device will have some bundled VR software and support Google Cardboard. The display will target some form of DCI-P3, although the level of which has not been publicized as of yet. On the battery side, the larger device allows for a 4000 mAh battery. Similar to the Mate 9, this will support Huawei Supercharge with appropriate power adapters for faster charging via the Type-C port on the bottom of the phone. This is still a USB 2.0 port, as per the regular Honor 8. The Honor 8 Pro uses the same dual-camera setup seen in the Honor 8, using a 12MP RGB and a 12MP monochrome sensor for additional contrast focus capabilities, depth sensing, and bokeh. 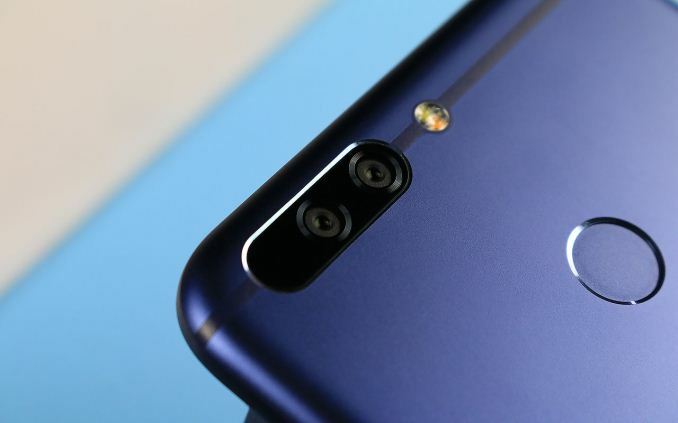 Given the relationship between Huawei and the Honor brand internally, it might not be a surprise that the Honor 8 Pro doesn't have the second generation of dual camera design as seen in the Huawei P10 that was launched back in February - it is likely that the Honor 9 will use that when released later in the year (as follows typical Honor cadence). The move to EMUI 5.1 will afford some additional software adjustments with the camera, and one of the features Honor was keen to promote is 4K recording in H.265, as well as an embedded feature called Highlights (co-created with GoPro) to help merge relevant photos and clips taken with the device when the user has a specific journey. Current plans have the Honor 8 Pro launching in Western Europe (so we assume that means UK, France, Germany, Italy, Spain) to begin with, at a recommended price of 549 Euro or £475 (including tax). 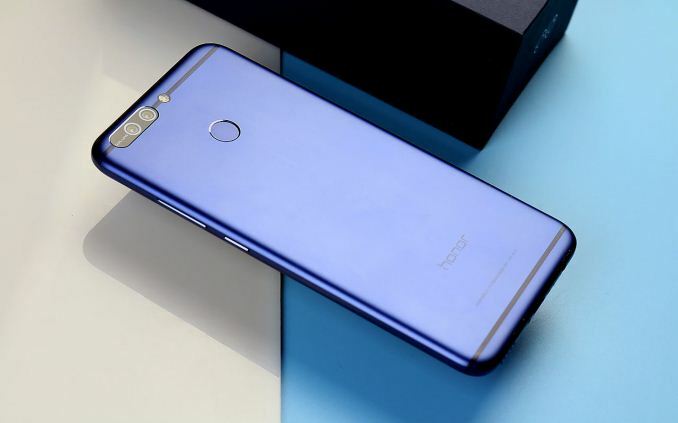 The navy blue color from the original Honor 8 will carry forward, along with two other designs in gold or black, although color availability may be region dependent. Pre-orders are currently available at vmall.eu (Honor's EU storefront), or a full Amazon launch will occur on April 20th.